Club Marian does not require you to sign up for an account. From the login screen, enter the name you would like in the 3D world where it says "Character Name" and press the <Start> button. 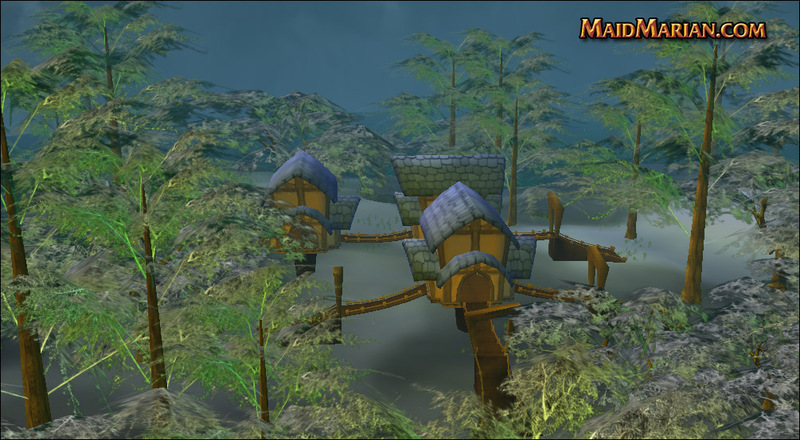 For privacy, don't use your real name or email address and don't give any other players personal information during the game, even if they claim to be MaidMarian.com staff. We never ask for personal information. Please read the MaidMarian.com Rules of Conduct for additional information regarding privacy and safety. 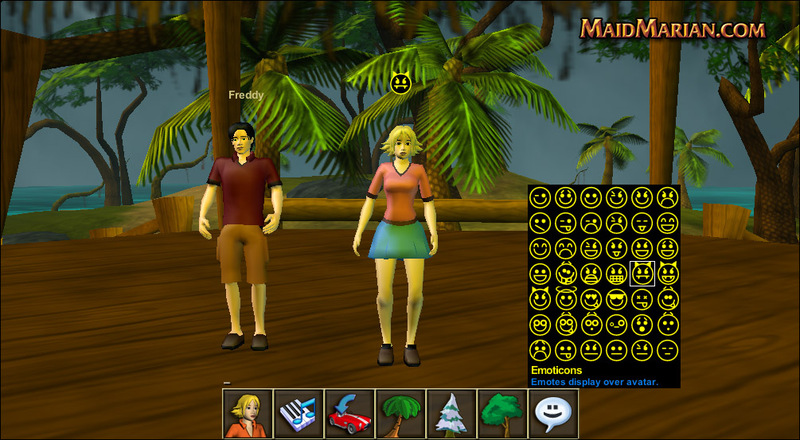 Club Marian uses keyboard controls for moving, driving, and chatting with other players. The left mouse button is used for all other user interface functions like getting in your car, customizing your avatar and using the Music Maker. Drag the right mouse button to orbit the camera around your character and look around the world. Use the <Arrow Keys> to move your character around the world. You can dance by holding down <Up Arrow> and <Down Arrow> at the same time. 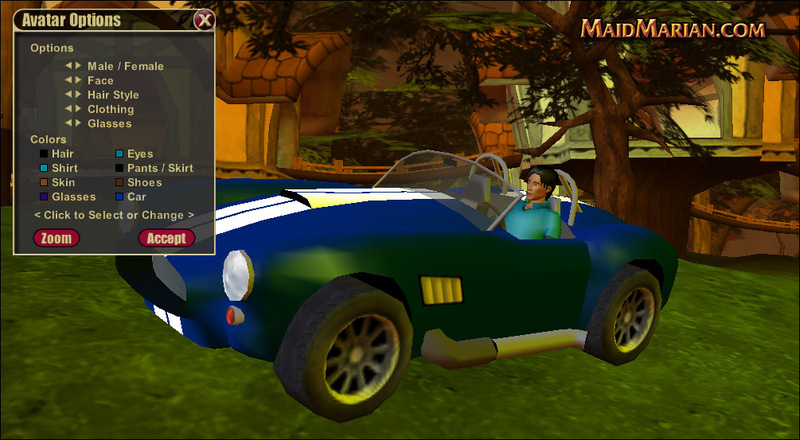 To get in your sports car, press the car icon on the options bar at the bottom of the screen or walk close your car and you will get in automatically. Use the arrow keys to control driving. 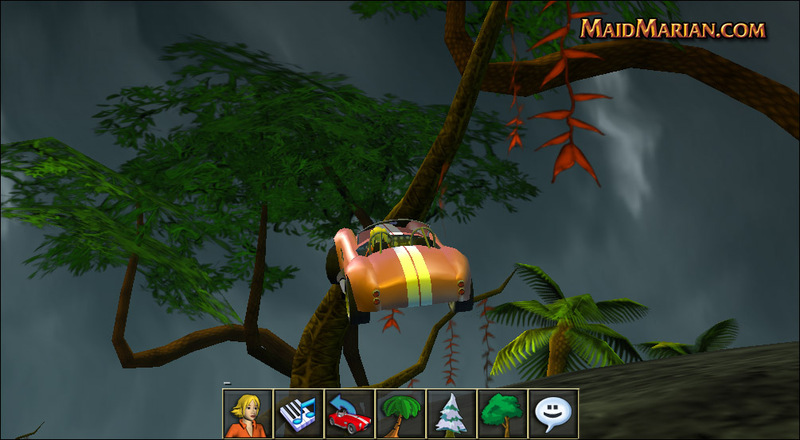 The car always drives in the direction you are looking in the 3d view and the view is controlled by the arrow keys. Takes a little practice, but it's pretty easy. To get out of your car, just press the car icon on the options bar again or press the <+> key. 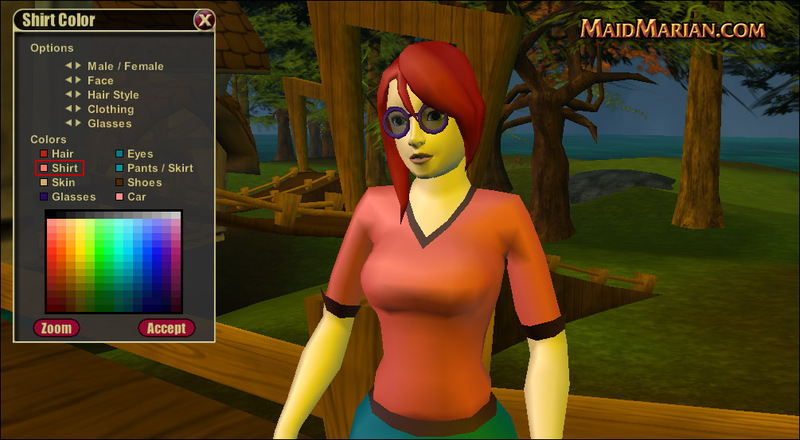 To talk to other players, type what you want to say into the chat console and press <Return> or <Enter> to send. Your message will be sent to all the other players in the area and appear in their chat console. Remember, don't tell anyone private information. This is a cool tool to let you create music for your online dance party. Press the Music Maker icon on the options bar to start creating. There are 12 sets of music loops included in Club Marian. Each set has 6 music or drum loops that you can control to create songs. A song is randomly generated for you automatically, so just press the play button to listen. By clicking on the bars in the track view you can enable or disable tracks to control which sounds are playing at each bar. The playback line shows where your are at in the song currently. Try all the sound sets with the 12 numbered buttons as the song is playing. Experiment and I'm sure you'll get the idea. The six volume sliders control the volume of each track. You might want to leave these all at maximum initially while you get the hang of the interface. 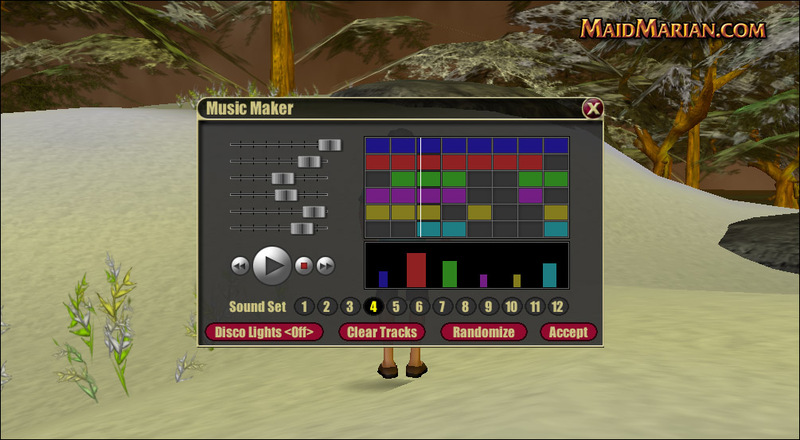 On the bottom of the Music Maker screen is a button to turn on Disco Lights. If you don't like flashing lights, leave this off. Disco Lights will enable lights in the 3D world to go in sync to your music. 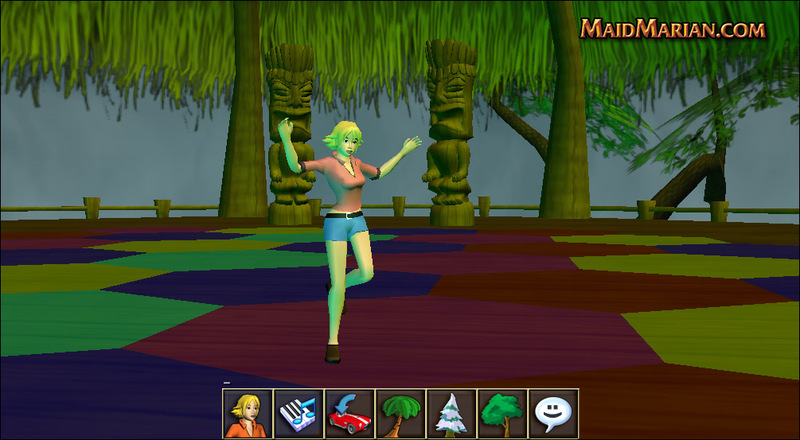 There is also a dance floor at the largest grass hut on Tacky Tiki Island. You'll want to check that out with Disco Lights turned on and the music player. 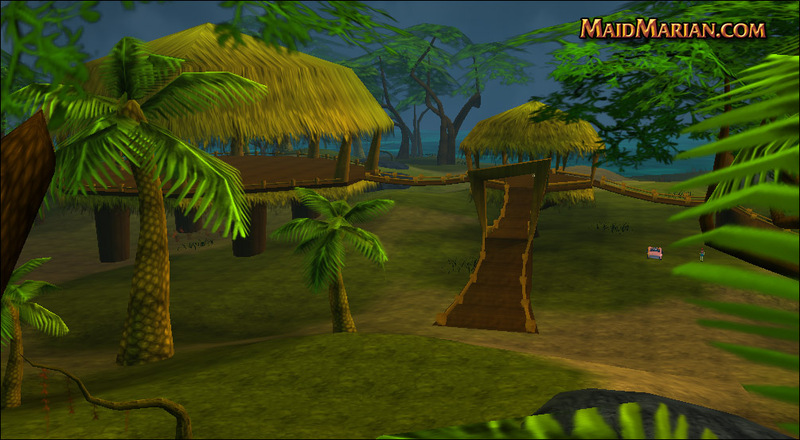 The two Tiki statues by the dance floor also move in sync to the music. 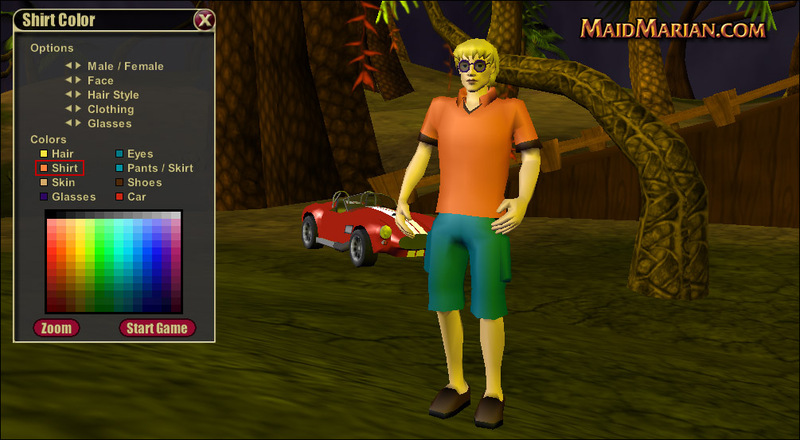 There are three buttons on the options bar that will take you to Snowy Alpine, Maple Grove and Tacky Tiki Islands. Just press them to teleport. By holding your mouse over the emote button on the options bar, a menu of emotes will appear to choose from. Once you select the emote, it will appear over your head for five seconds. All the other players in the vicinity will be able to see this as well. It's a fun way to show other players how your feeling and there are 42 emotes to choose from. Thanks for playing Club Marian.